Some fresh perspective on a Chromebook's capabilities for professionals. "Sure, Chromebooks are fine for schools and other simple stuff, but you can't actually use 'em for work — can you?" As someone who's written about Google's Chrome OS platform since the start, that's a question I've heard more times than I can count. So I set out to get some current perspective on the answer. For context, Chromebooks have actually played a significant role in my personal life for years. While I use a Windows desktop system in my office during the workday, I rely on a Chromebook for pretty much anything else that isn't well suited to a phone — after-hours typing, weekend bill-paying, light work away from my desk, and so on. I've taken Chromebooks with me to handle work while I travel, too, but it's been a while — and boy, oh boy, has a lot changed. One of those things is the now-widespread availability of Android apps on Chrome OS. The current Chromebook I personally own and most recently traveled with is the original Chromebook Pixel, and it's (a) not a convertible device and (b) just old enough that it wasn't among the devices upgraded with Google Play Store support earlier this year. So on a recent business trip to Boston, I decided to take a more contemporary Chromebook as my sole large-screen computing device. No other laptops, no traditional tablets, nada — just the one Chromebook for everything I needed to do, from the moment I left my house to the night of my return. 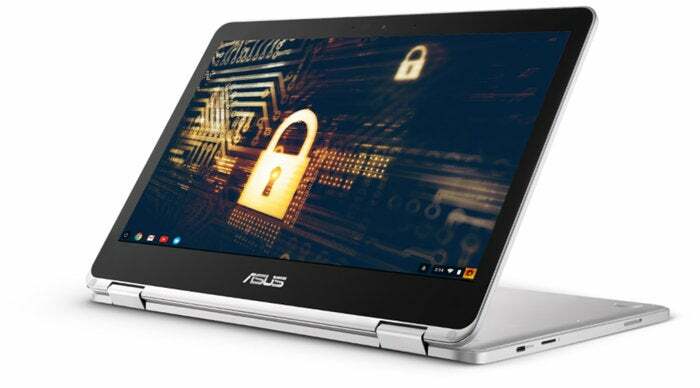 In order to formulate my impressions with a device that could take full advantage of Chrome OS's current features, I borrowed an Asus Chromebook Flip C302CA — a $500ish product I'd describe as a really nice upper-midrange system. Like a lot of Chromebooks these days, it's a convertible touchscreen laptop with a 360-hinge that lets you use it in a variety of modes, ranging from laptop to fully flattened slate. And you know what? For the entire week I was away, including two long days of multiflight travel, I didn't once miss my standard desktop setup. In many ways, in fact, I actually felt like I was better off than I would have been with a traditional Windows laptop for my business trip purposes. Now, much of that is due to the nature of my job: Most of my work these days is done in cloud-centric apps like Google Drive, Google Keep, and Gmail. I use a cloud-based content management system for publishing stories. I use either Slack or email for almost all of my work-based communication. So like many people — and just like I've observed myself in the past — the transition from a traditional desktop operating system to Chrome OS doesn't require much thought or adjustment for me. In my past Chromebook work experiences, though, there's always been one nagging asterisk: I occasionally get documents back from editors with questions or suggestions made with Microsoft's Track Changes system. And while Google Docs has its own comparable "Suggestions" system that works well enough in and of itself, mixing the two formats isn't exactly seamless — especially when the other person is expecting the document back in the same format they sent. The other Chromebook work caveat I've always faced revolves around image editing, and this one unfortunately is still a bit of a bummer. Android has oodles of excellent apps for polishing up photos, but there's just no great alternative for Photoshop-caliber multilayer graphical work. Web apps like Pixlr can get the job done in a pinch but have remained meaningfully less optimal than the full Photoshop experience when it comes to my workflow. 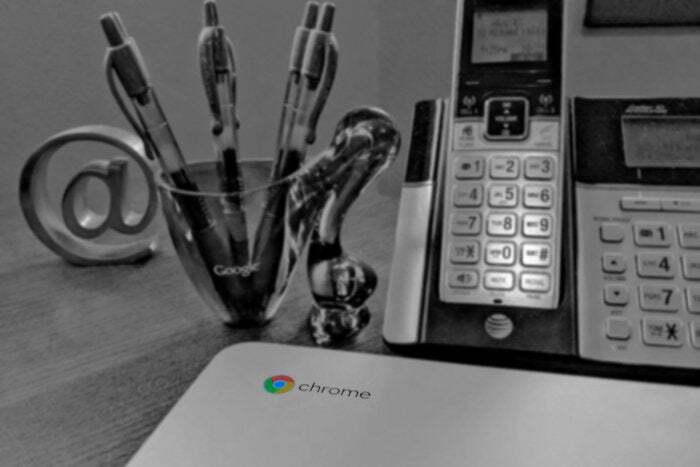 That gets us back to our original question: Can you use a Chromebook for work? Ultimately, as my experience illustrates, the answer depends on what kind of work you need to do. If you have specific desktop utilities you need for your job — things without suitable web- or Android-based equivalents — then no, you won't be able to effectively use a Chromebook for your work. Increasingly, though, those sorts of needs are more the exception than the rule. Most people don't need the full power of Photoshop for their jobs. More and more business software is available in a web or Android version. A Chromebook absolutely isn't going to work for everyone, but it is going to be a viable option for an awful lot of professionals — now more so than ever. Without a doubt, part of that is thanks to the presence of Android apps, which absolutely do redefine a Chromebook's possibilities and limitations. The Microsoft Office situation from my own adventure is a perfect example (and say what you will, but plenty of people have even more pressing needs for access to the full Office software on their work computers). Android apps similarly address long-standing Chrome OS omissions like the lack of a video-call-capable Skype client for the web. But Android apps won't address more niche needs — like the lack of a fully featured desktop-caliber image editing program, as I'm often reminded, or the lack of other platform-specific specialty software. Android apps go a long way toward filling in the gaps for people who were already close to being able to use a Chromebook for work, but they aren't a magical fix that's suddenly going to make the platform whole for everyone. For those of us in the former category — or those for whom Chrome OS was already sufficient before — the addition of Android apps accomplishes one other thing worth mentioning: It opens up the door to some interesting possibilities by allowing you to run previously mobile-exclusive software on your regular laptop. As I've said before, the Chromebook is effectively the new Android tablet — and when that same device is also your work computer, you get an appealing sort of all-in-one experience that isn't possible anywhere else. During my business trip, for instance, I flipped the Chromebook Flip into its tablet mode and watched movies and other videos on a spacious screen during my flights. I didn't need to tote a separate tablet for such purposes, nor did I have to pay anything extra to "rent" such content — since the Netflix and YouTube Android apps, unlike their web-based equivalents, allow you to pin videos to a device for offline viewing. That's a pretty compelling perk for a laptop. There are many other such examples, but you get the idea: There's something to be said for having a device that handles everything you need from the moment you leave the house to the end of the day — whether you're going into work, traveling for business, or whatever. With the new presence of mobile apps along with all of Chrome OS's core advantages, the Chromebook can become a uniquely versatile work-and-everything-else device for a certain type of user. For me, with the asterisk of graphic editing options still not being quite where I'd like them to be, that's certainly proven to be the case. I left my house carrying just a single lightweight convertible device in my bag, and that one laptop handled everything I needed — work-specific and otherwise — and in a way no traditional computer or convertible could have. So, yes: Chromebooks can definitely be used for work — and much more. The only question you need to answer is whether or not Chrome OS itself is right for you.